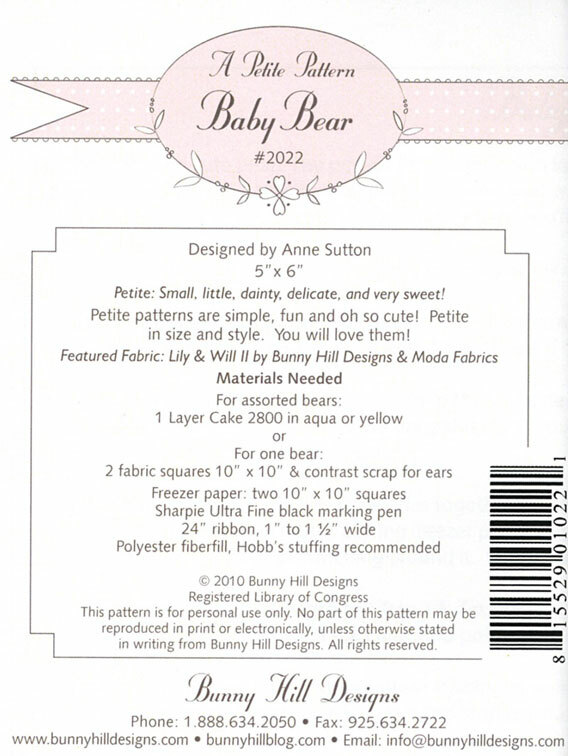 Baby Bear petite stuffed animal sewing pattern from Bunny Hill Designs by Annie Sutton. Let the fabric do the work for you! So quick and easy you can make a bunch in a single day. Use up small pieces of fabric leftover from quilt projects to make great gifts, wall decorations or tree ornaments. Finished size 5" X 6". 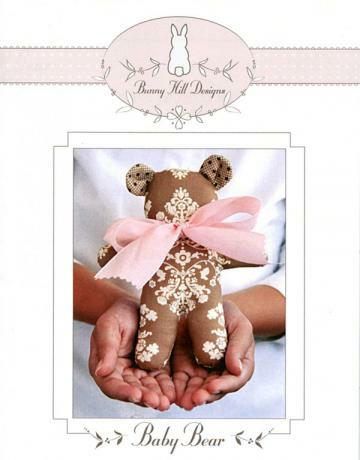 Add to a gift basket, decorate a present, use as a Christmas ornament, a toy for baby...you get the idea! Or, for the fellow sewing enthusiast or quilter...this petite pattern is small enough to tuck inside a card for the perfect friendship gift!